There’s something so satisfying about traditional chicken tenders and the simple pleasure of dipping them, then taking a bite into its crisp golden crust. 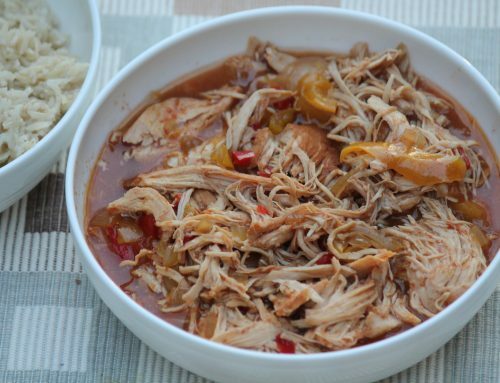 It’s comfort food at its finest and should be enjoyed by everyone. 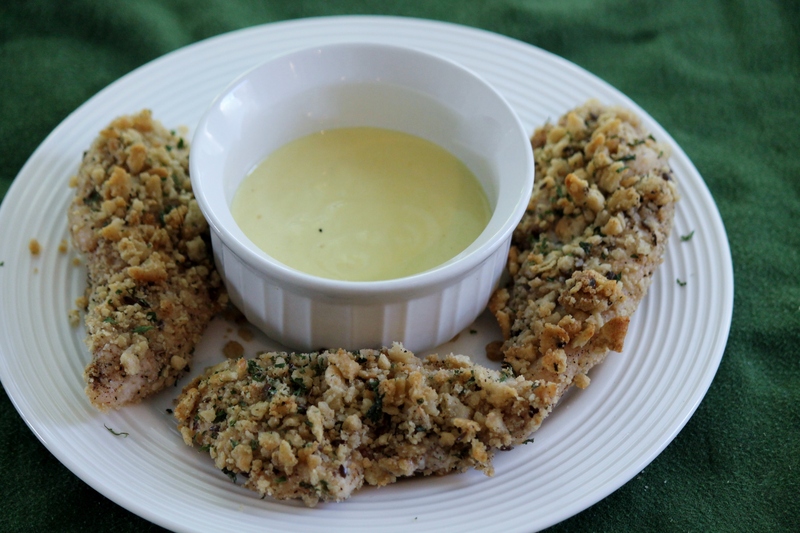 These chicken tenders use Breton Gluten-free original with flax crackers as the breading so even those with a gluten sensitivity can enjoy some of life’s simple pleasures. 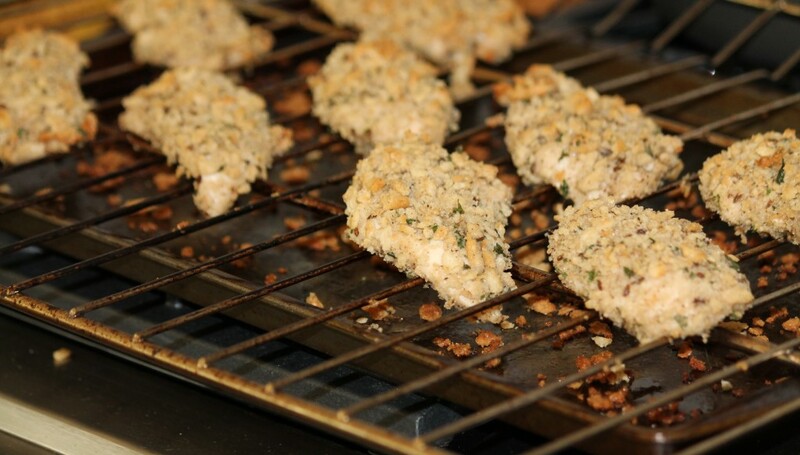 Breton crackers, which are made with arrowroot flour and green lentil flour, add a nice crunchy exterior to the chicken. 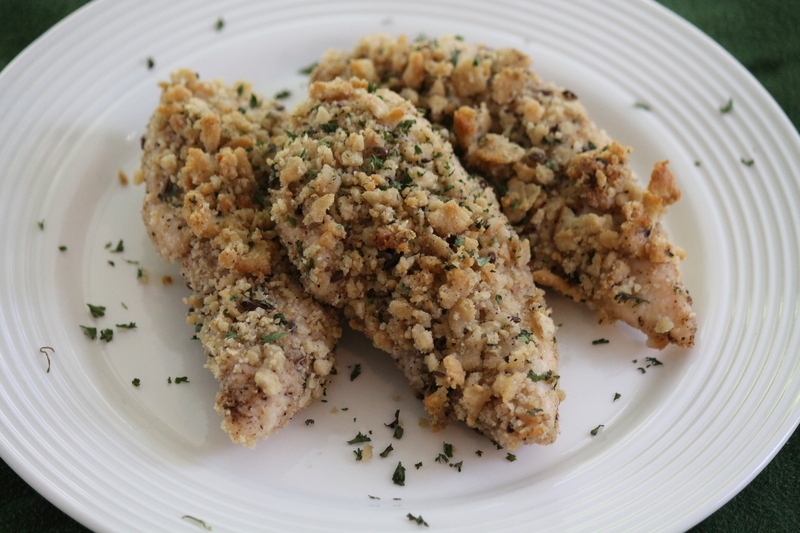 With the addition of the spices the chicken tenders are so flavorful it’s hard to believe they’re gluten free! The chicken tenders are dipped in egg whites then baked in the oven making them a much healthier option than it’s deep fried counterpart. You simply can’t beat juicy chicken coated in cracker crumbs and baked to a crisp golden perfection. 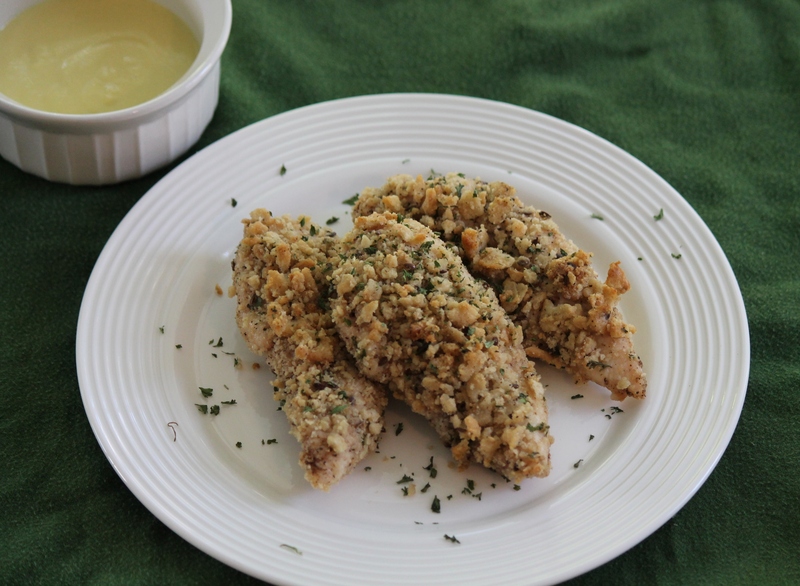 A simple and delicious meal to prepare, these tenders can be enjoyed as a lunch or dinner option, dipped in your favorite sauce, served alongside some veggie sticks or on top of a salad. Set a wire rack on top of a baking sheet coated with cooking spray. Combine the cracker crumbs, coconut oil, parsley and measured salt and pepper in a bowl Place egg white in a separate bowl ( Whisk till foamy). Dip chicken tenders in the egg whites, allowing any excess to drip off, then dip into cracker mixture, turning and patting to get the crumbs to stick. 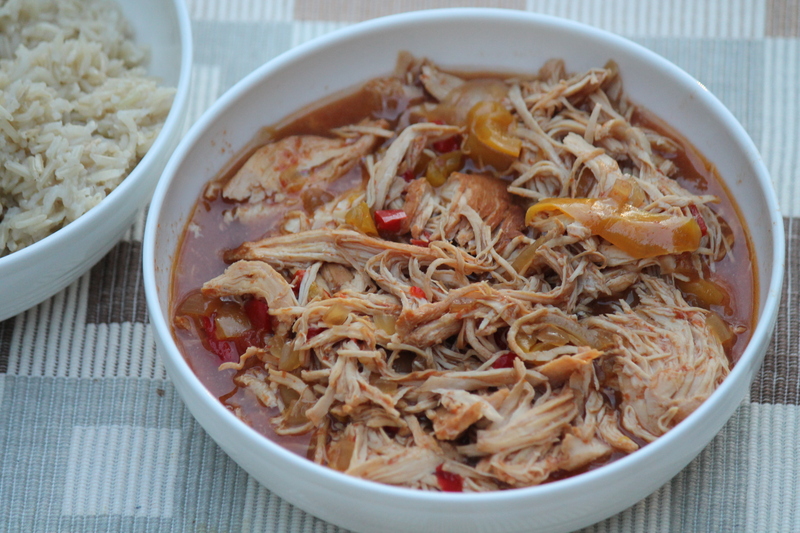 Place the coated chicken on the prepared rack. I was thinking the same thing after I saw your post. I will have to try your recipe as well.